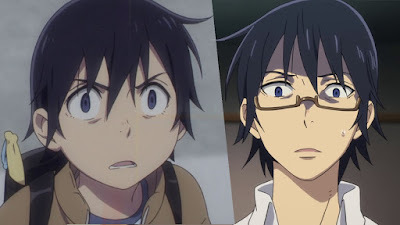 Erased is a 12 episode thriller anime adapted from a manga series of the same name. Directed by Tomohiko Itō (Known for Death Note, Blue Exorcist, The Girl Who Leapt Through Time, Sword Art Online) that focuses on Satoru Fujinuma: a 29 year old failing manga artist working part-time in a pizza parlour. He somehow has this ability called revival which occasionally and unexpectedly throws him a minute or so back in time if something bad is about to happen. Triggered by a traumatic event, revival sends him back 18 years, back to the body of his 10 year old self. Still with the mind of a fully grown adult, the 10 year old Saturo takes it upon himself to prevent several murders of young girls that happened in his original timeline. He hopes to change the future for the better, all whilst maintaining his relationships with friends and family. This anime aired from January 2016, falling off the radar for many, myself included. 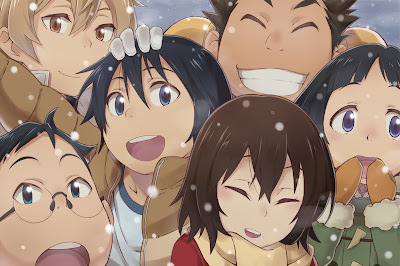 Coming off my second binge watch in a week, it's without a doubt that Erased is one of the best anime, as well as a series in general, that has come out in a long time. 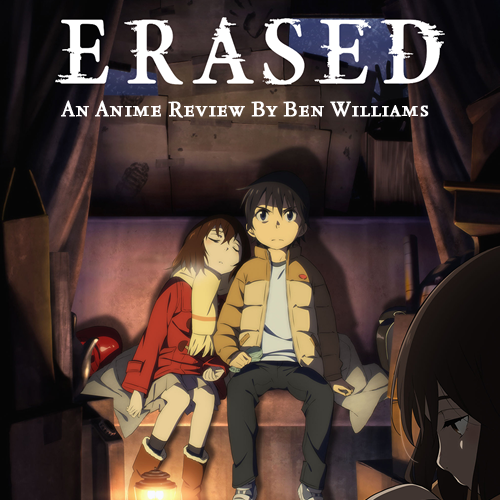 What makes Erased stand out from the beginning is that you'll never see anything like this coming from Western film and television. Many areas of Western cinema play it too safe these days and hesitate to explore new or certain themes out of fear it being too controversial or complicated. It's ultimately a detective story at it's core but it is also a story about a young boy with the mind of a 29 year old who not only has to retrace events from his original past, but he also has to investigate and act to others around him a way a 10 year old would. Although he tries to act the age of the body he's in, his friends and family are drawn to how he is suddenly acting more mature, intelligent and not acting in a passively likeable way for the sake of making people like him. It's fascinating witnessing a child whose mind's already matured going beyond the trivial worries of childhood, taking on such an adult burden of investigating and preventing a series of murders. Recalling that the string of murders began with the disappearance of a girl he originally could have saved but didn't, Hinazuki Kayo, the heart of Satoru's journey lies with befriending this introverted girl and ultimately saving her from what else is going wrong in her life. Watching this young child with the mind of a 29 year old trying to break down the barriers that this girl puts up is incredibly sweet and hopeful, despite the dark layers within the plot. We meet Satoru as a withdrawn sceptic drowned in regret after digesting what he failed to do all the way to adulthood. As the episodes progress, your heart is gradually warmed as his friendship with Hinazuki develops. Satoru and Hinazuki's friendship is a delightful highlight of the show but nearly all of Erased's other characters are so well-rounded as well. Satoru's friends in both the past and present, including those who assist Satoru in befriending Hinazuki, are pleasing reminders that you don't have to handle a burden alone. Witnessing the full group together, laughing and smiling, you can tell how essential they are as support pillars in Satoru's story. 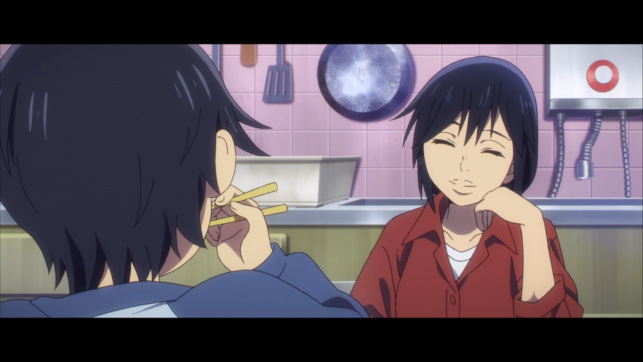 Satoru's mother, Sachiko, is one of the most enjoyable TV mothers you'll see in a long time. She always knows what Satoru, both in the past and present, needs and knows this even before he knows it himself. Whether it's in the form of endearing advice or just to tell him it will all be okay, she'll make you want to give your own mother the biggest of hugs when you next see her. Sachiko: the role model for all protagonist's mothers. 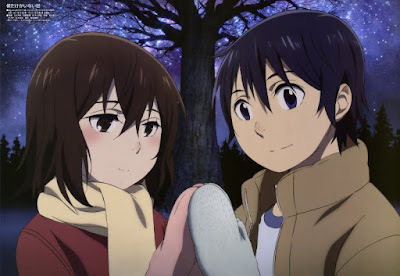 It won't be really be noticeable until you're a couple of episodes in but Erased's skill of upping the intensity into high gear before returning back to normal at the right pace is praiseworthy at the highest level. Its core being a detective story is a base for a gripping plot that will continue to shock you and make you want more as revelations appear. As you get used to basking in the joy of Satoru's relationships pleasantly developing with his friends, you're shifted to the edge of your seat as an event in the murder mystery flourishes on-screen with an eerie sense of chaotic unease, before sensitively easing back to leave you desiring answers. Erased does this just as well with handling a sub plot regarding abuse. It's both riveting and shocking to watch in the right ways but it's handled with enough care and finesse to help viewers empathise with the characters the right amount. It keeps the story cohesive without taking away from Erased's other charming qualities. Whilst as bold and captivating the story is, the murder mystery is a major engine that drives Erased forward, one that will have viewers watch obsessively to see solved. A problem would be that it's quite easy to guess the identity of the kidnapper/murderer early on, about half way through the series. The show attempts to keep you guessing but you'll more than likely narrow down the list of potential suspects insanely quickly, taking away some of the much-enjoyed suspense. Erased's final arc also peters off into a particularly unexpected route. Whilst this direction is admired by myself and many others, it may not be for everyone due to it being in such a drastic direction. In addition to what may bother some, the time travel element, being Satoru's revival ability, is never explained. Personally, it can be said it was a wise choice to leave the revival ability as a plot device and nothing more. Going into the reasoning behind it might have unnecessarily drawn attention away from the main story's progression but it may vex some of you perfectionists out there. However, none of this will deter you from being submerged into the depth of this engrossing story and loving the ride. The cherry on top is the gorgeous opening and ending music sequences. Anime is a dynamic branch of entertainment that's capable of telling bold stories through boundless design. 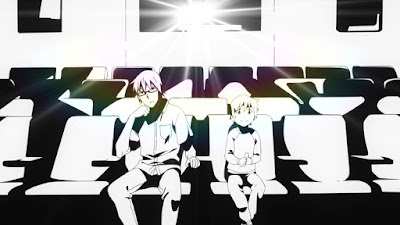 Like any television series, how approachable an anime can be to audiences depends on a combination of aspects: the right number of episodes so it doesn't seem too daunting for it's premise, having a unique story that stands out from the others and a balanced tone that intertwines levels of both realism and escapism. Erased pulls off this task by skilfully telling a memorable story that only something of its medium could do. It does this by shouldering a plot with dark themes on a foundation of well-rounded and lovable characters. That is what make this anime so astonishingly heartfelt. It's long enough to make you fall in love with it's relationships and enthralling story but short enough to be as easily consumable as a two film marathon. 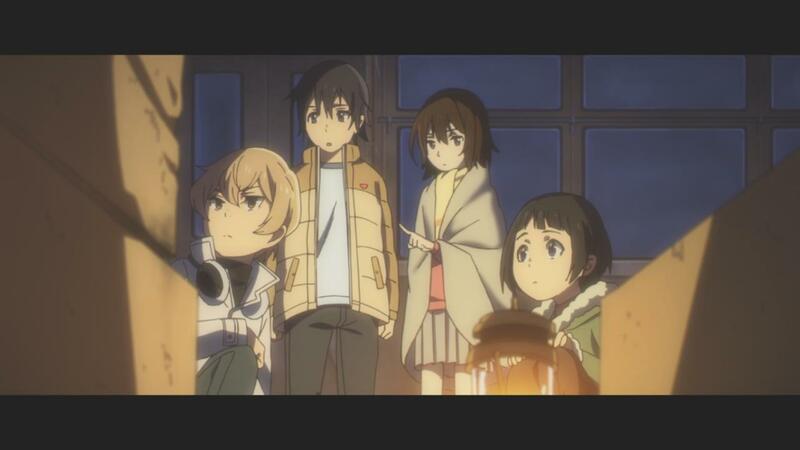 Erased will be easily shining bright for years to come as a unique tale that jumps between light and dark themes with a captivating finesse. It's not just for anime fans. For anyone who just wants to see an amazingly thrilling drama, this is a great place to start, and it's now available to stream on Crunchyroll. You're welcome.